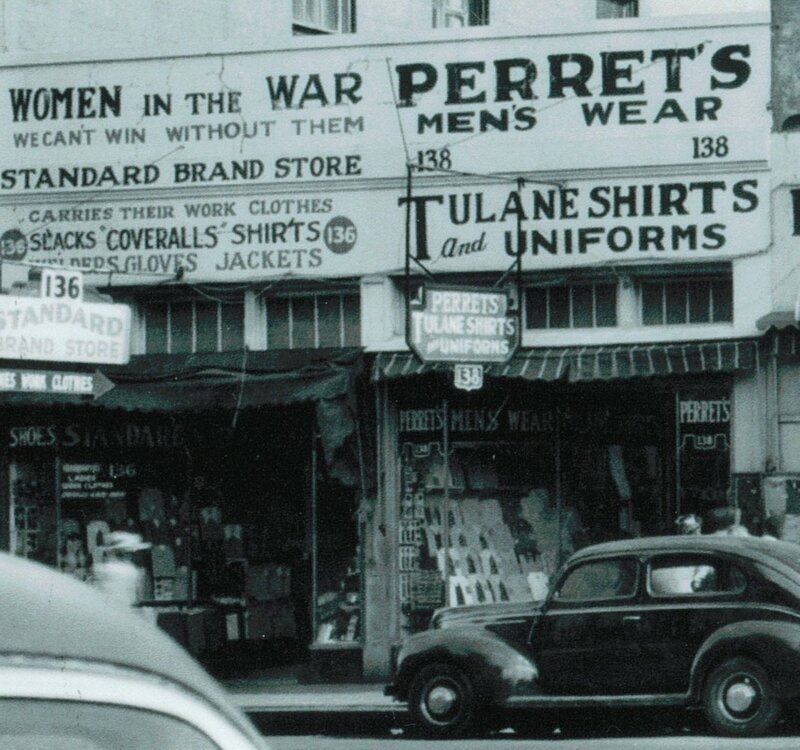 Founded in 1926 by Joe Perret in Downtown New Orleans, Perret's is now in it's third generation of family ownership. For 90 years now we have been serving your needs and the needs of our customers around the globe! If you have any questions please use the Contact Us link to the right or Call Us at 504-466-2532. Our Major Brands include 5.11, Propper, Tru-Spec, Reebok, Bates, Uncle Mike's, Bianchi, Safariland, and many others. We have plenty of product not yet shown here. (But we are working on it!) We gladly accept Visa, Mastercard, American Express, and Discover. We are your premier supplier for military, survival, camping, uniforms, security, hunting, outerwear, boots, MREs, duffel bags and active wear. We have been a Family run business since 1926. 90 years later we are still strong. Thank you for your years of continued support! We are surely one of America’s Favorite Online Army Surplus Stores. We ship Everyday to APO & FPO addresses! Same shipping costs as domestic. Full service embroidery and screen printing too! Perret's offers thousands of products online! We offer over 600 of Rothco's products online alone! We have been online since 1997. We stock over 700 Mililtary Patches from all the branches of service.